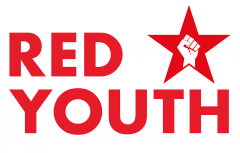 Red Youth and Birmingham CPGB-ML supported the call of West Mids PSC to support a demo to raise awareness of the plight of political prisoner’s. 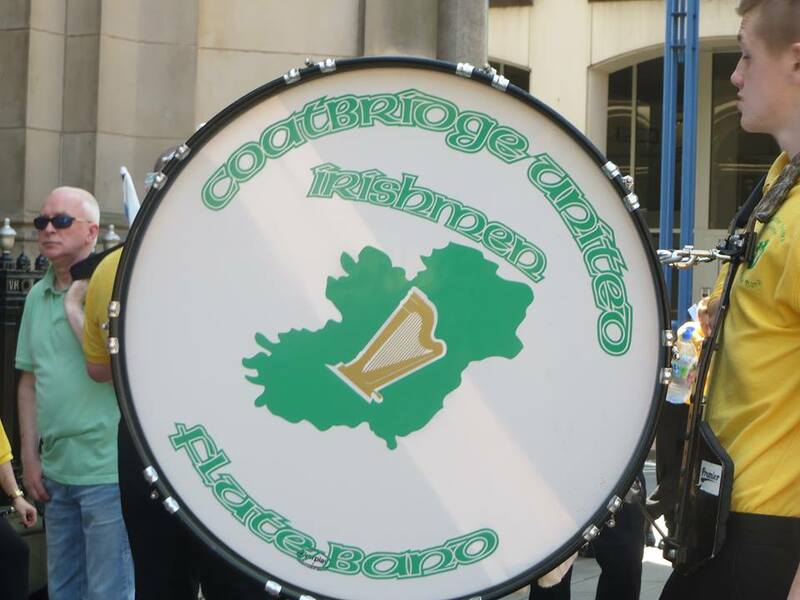 The purpose was to raise the profile of Irish and Palestinian political prisoner’s in particular. 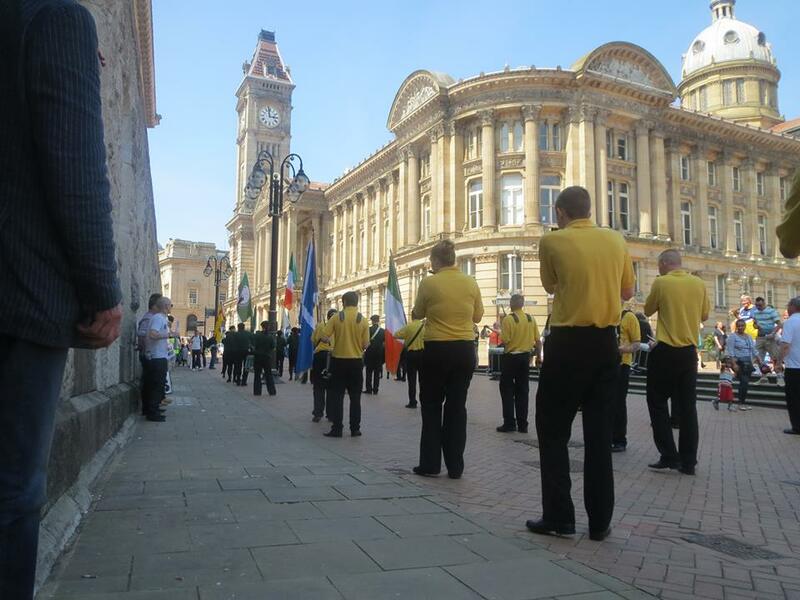 Despite West Mids PSC declaring its support for the rally, it seems on the day the weather got the better of them. Perhaps a BBQ took precedence, or maybe some other vital work, like verbal masturbation at some University/college Professor’s house… maybe they were too busy spreading rumours of anti-semitism to other ultra-left, trotskyite groups who make out they are anti-racist/anti-imperialist. 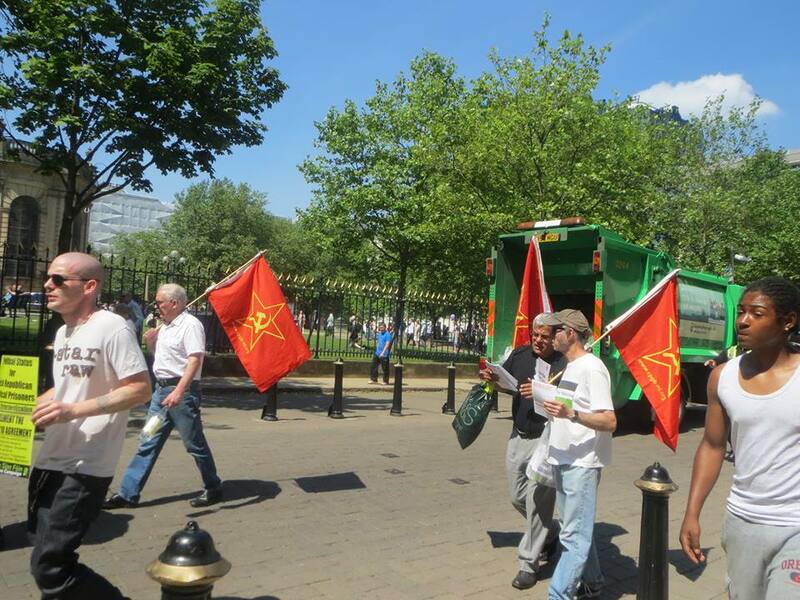 Either way, true anti-imperialists staged an excellent march and rally. Shame on those who profess their devotion to the liberation of the Palestinians but declare actual Palestinian revolutionaries and fighters against imperialism to be anti-semitic. 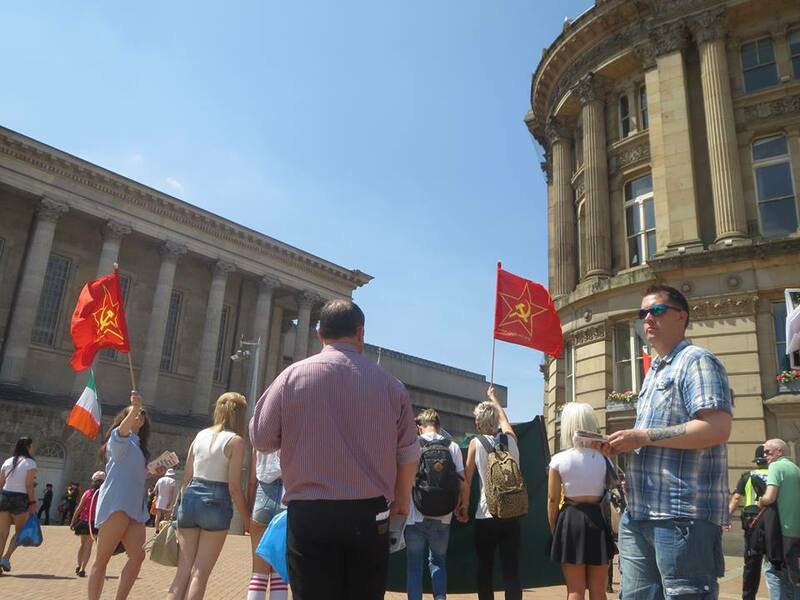 These people whistle loud but are never seen out in Birmingham unless its a state-sponsored/TUC love-in.